At S & H Glenco Manufacturing, LLC, we are established experts at screw machining. 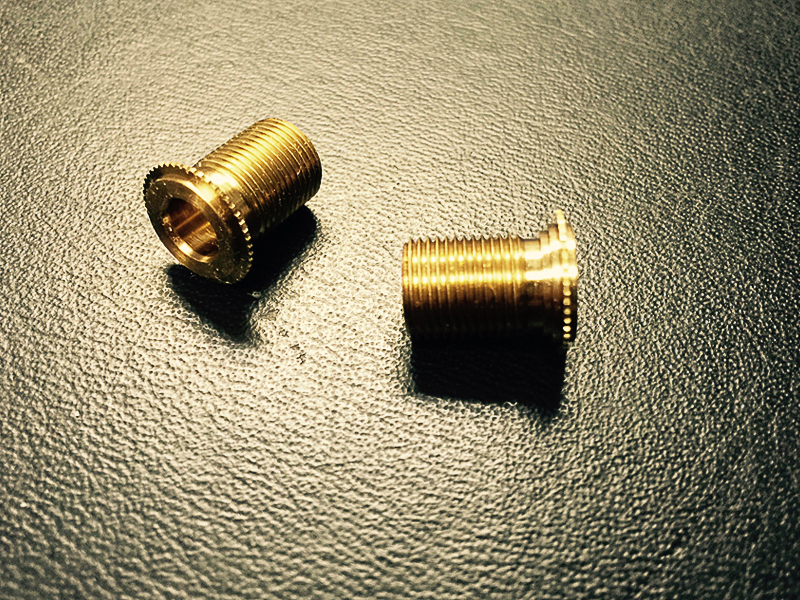 An advanced, high-precision method, screw machining has been our specialty since 1957. Our expertise has enabled customers nationwide obtain critical, complexly designed parts built to the levels of precision they need in the volumes they want. We recently assisted a customer looking to manufacture an insert bearing for medical and automotive use. Naturally, this dual-industry application would require high levels of precision and consistent attention to detail. The customer also requested that the final product be protected using nickel plating to RoHS-certified standard and meet tolerances of +0.001 / -0.000”. We created a custom fabrication process that closely followed the customer's original CAD drawings. Screw machining, with an integrated knurling step, was combined with deburring, nickel plating, inspection, and testing procedures to ensure a high quality output. Free cutting brass-copper alloy No. 360 was used as the build material, due to its ability to serve precision applications while providing an excellent strength profile. Over the course of this project, we manufactured 50,000 examples on a 6-week timetable. For more information about our services, see the table below and feel free to contact us directly.